There’s a lot of starting over to be had with this series, and for a moment I thought Riki was planning on starting ALL the way back from their childhood. How he’d do that, I have no idea. But, the way he brought up their past made me think that. In reality (or should I say this reality? 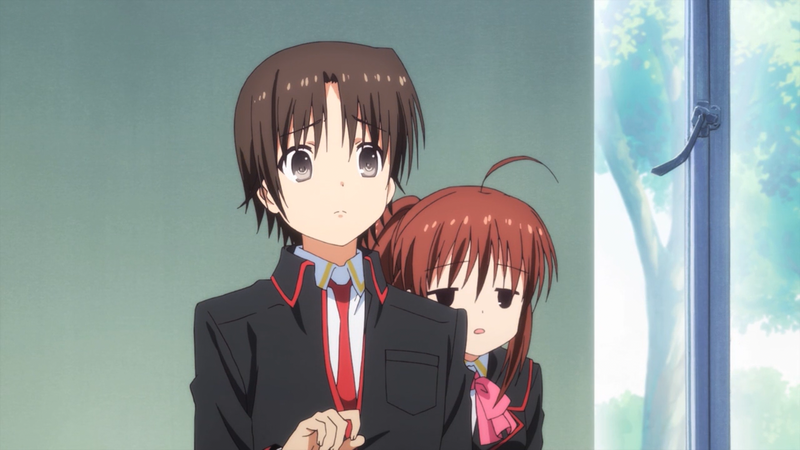 ), Riki plans to reassemble the Little Busters members in the same order that Kyousuke did in the past. I wonder if this means that he’ll remeet the girls in the same order as well. 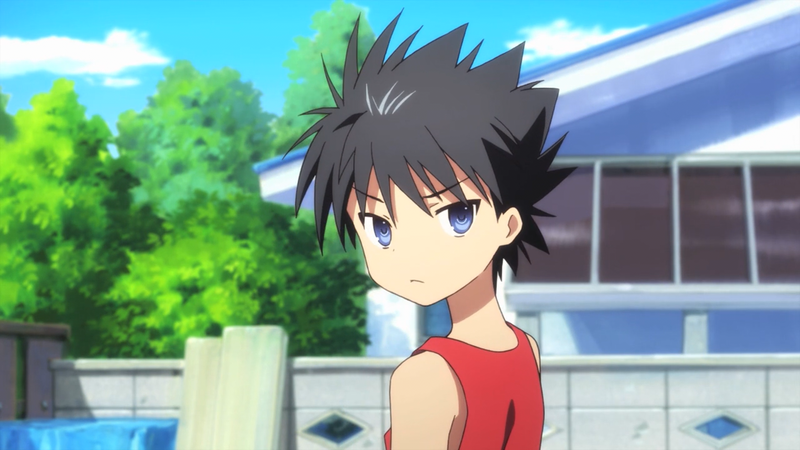 First on our list is Masato, who was also the last person to leave the Little Busters. I love that after over 30 episodes of being comic relief, we finally get some insight into Masato’s past and how he came to be a part of the Little Busters. It turns out that he was always made fun of for being stupid, which drove him to aspire to become the strongest. He eventually gets what he wants when he’s able to beat everyone up but at the cost of everyone being afraid of him. Once again, Masato found himself alone with no friends. That is, until Kyousuke and Rin appear to show Masato a good fight. This actually made me kind of sad. Maybe it’s because we’ve known Masato to be the klunky musclehead, or maybe I just get sad when I see people who can’t make friends. History repeats itself when Masato finds himself battling, quite literally, against his inner demons. This time, it’s Riki who takes the challenge of offering a friendly hand to Masato. 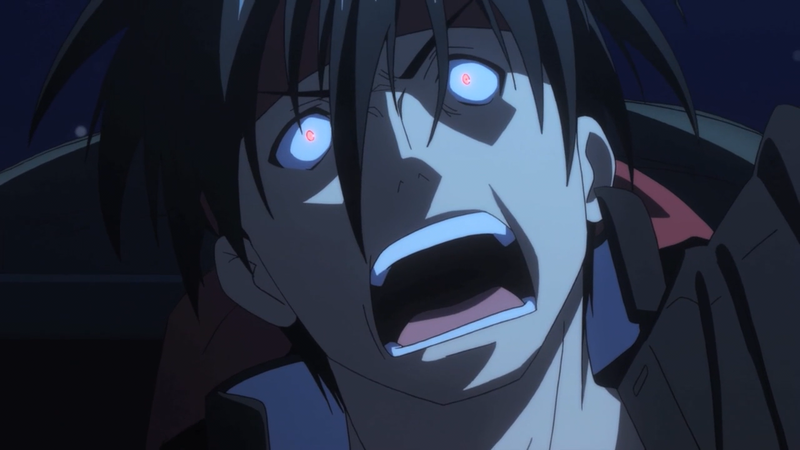 I’m actually really surprised that Riki is able to take Masato down in a fight. Sure, Masato was battered by the freaking statue and took a flying Rin kick to the head, but I didn’t Riki would be able to do it. I like how the series is slowly showing the relationship between Riki and Rin growing. Even though they had to start all over, I guess that just means more time to see the magic happen. Next week, it appears it’s Kengo’s turn to be recruited, and I feel that this will be an intense battle. But with Masato on the team now, things might be a little more even. Tags: Anime, episode, impression, Little Busters! ← Poll – Favorite Female Anime Character of Fall 2013? I enjoyed seeing some of that Masato development as we really got some nice insight on his background and it was neat seeing how he joined the Little Busters. I noticed a lot of VN fans saying they didn’t like how this episode was adapted though, so I’m curious about the VN and really hope I can play it myself to see how it all goes.